Research in Motion (RIM) has announced that BlackBerry users will soon be able to charge purchases made at cash registers with their Visa cards using NFC technology implanted in the provider’s new line of smartphones. 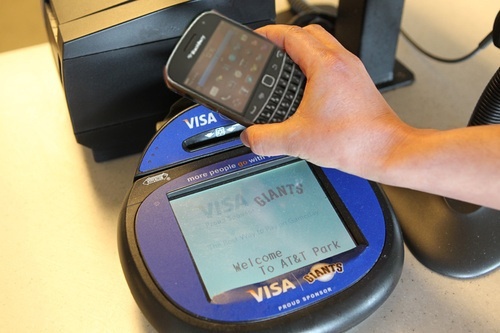 According to a TMCNet report, RIM said Tuesday that Visa has officially opened its credit card system to work with the device maker’s encrypted mobile payment technology. 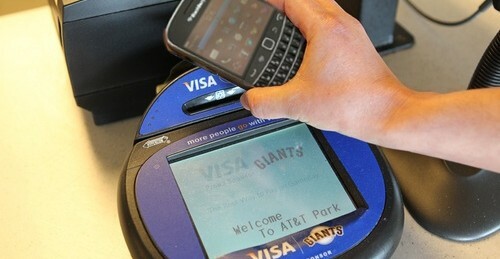 RIM’s payment method securely links BlackBerrys to bank accounts and credit cards, and a partnership with Visa only further solidifies the mobile manufacturer as a competitor in the mobile payments landscape. RIM’s payment solution allows customers use their smartphones like bank cards, paying for items by holding the device up to a sales terminal using an identical chip to those housed in most credit cards. Visa’s seal of approval joins three of Canada’s wireless networks who have already signed off on the RIM initiative. RIM has previously joined forces with EnStream joint venture, which is owned and overseen by BCE’s Bell Rogers and Telus. Per the EnStream agreement, RIM will manage security credentials for SIM cards in BlackBerrys as well as devices running both Android and Windows operating systems. The Visa announcement comes at the right time for RIM, who is set to unveil its new line of Blackberry smartphones on January 30.